OLDRIGHTIE: Does Anyone Still believe Anything They Say? Does Anyone Still believe Anything They Say? 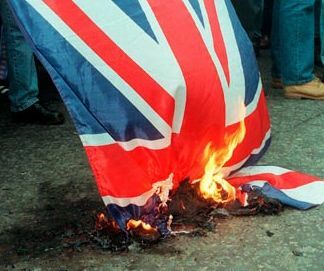 Labour won an election in 2005 on a manifesto pledge to give the British people a referendum on the treaty, but just two years later has reneged on the deal. As for the real BIGGY? NO MORE BOOM AND BUST! What is your favourite Labour pledge bust? Plenty to choose from! Too long a task, OR. Blimey, how long you got? It's the right thing to do and I Gordon am the man to do it! "Manifest promises are not subject to legitimate expectations" was my favourite. Well for a given value of favourite. Do you know what, OR? I know they are twats, you know they are twats, everyone except the the likes of the alco anonymong knows that they are twats.